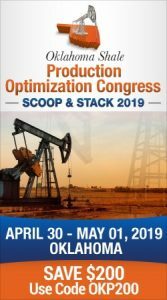 Both the U.S. and Oklahoma rig counts suffered losses in the past week, according to the latest data released by Baker Hughes Company of Houston. Oklahoma suffered a loss of three more rigs, reaching a total count of 60 working oil and gas rigs. Nationally, the count dropped by eleven, reaching a total of 420 remaining working rigs. The new count leaves 332 oil rigs and 87 gas rigs. The national count has fallen 485 in the past year from 905 working rigs. The decline included 347 oil rigs and 15 gas rigs. This week’s offshore rig count is 25, a decline of one. In Canada, the count declined by three to reach 37. 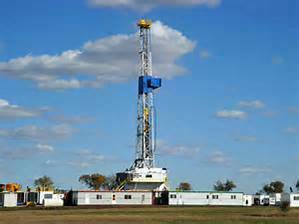 Every oil and gas producing state surrounding Oklahoma reported a drop in active rigs. Texas dropped by two to reach 185. New Mexico’s count declined by three, leaving 16 working rigs. In Kansas, the count dropped by two to reach a level of four rigs. The count in Colorado fell by one to 16. In North Dakota, only 26 rigs are actively drilling for oil and gas, the same number as a week ago. Of the oil plays, the Woodfords in Oklahoma dropped by one to reach four compared to the 12 reported a year ago. The Granite Wash count stands at three, a decline of one in the past week. The Mississippian remained steady at four. The Permian, still the most active play in the nation, has 134 rigs, a drop of two. The Eagle Ford in south Texas dropped by three to reach 37.